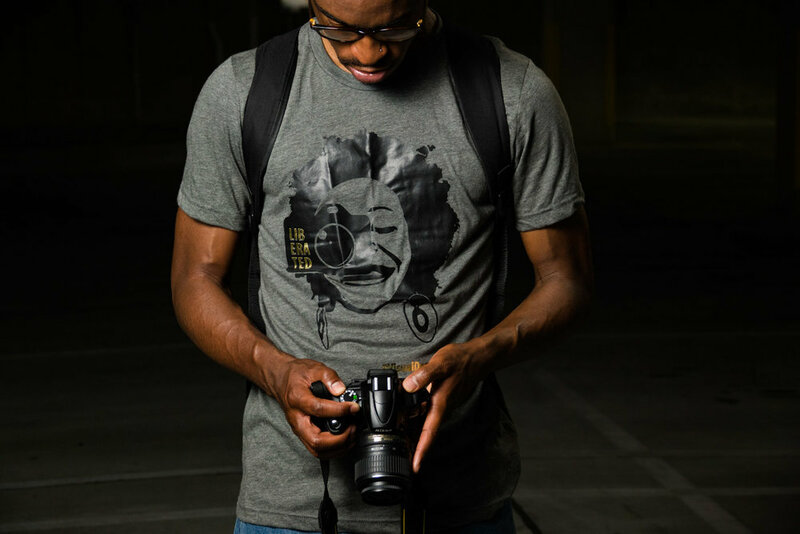 Born of a need to fill a void in the apparel world, RB Creative has cooked up a few designs to appeal specifically to Black photographers who strive to celebrate their authenticity in images and representation, all-the-while doling out dope imagery. 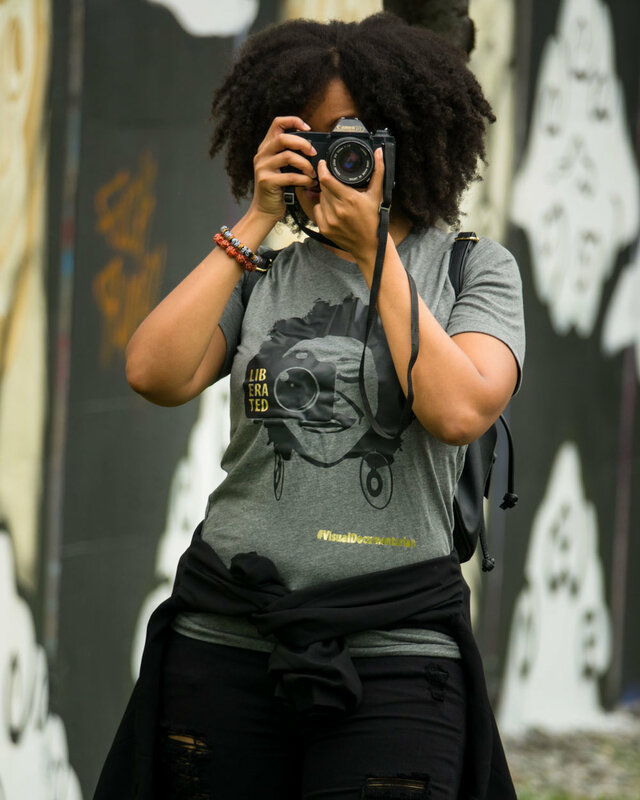 The “Afrotography” tee represents the first such design, sporting an unapologetic fro, and the word LIBERATED emblazoned on the visual documentarians’ weapon of choice. 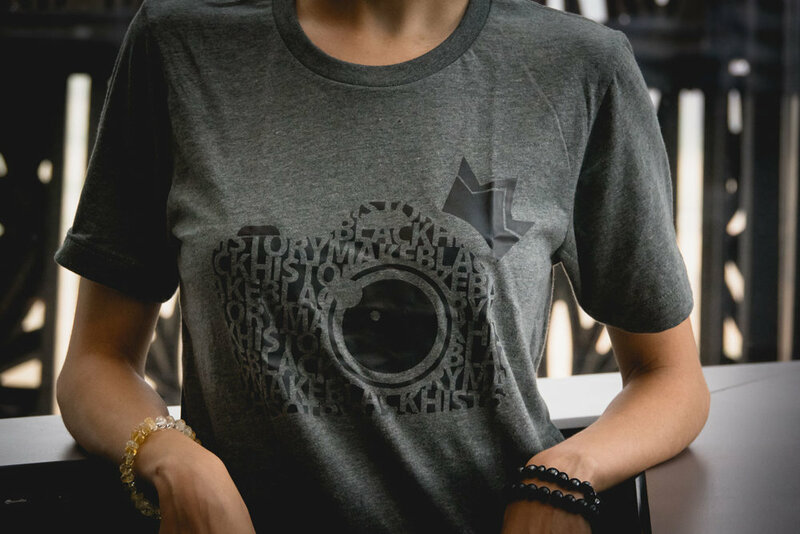 The “Make Black History” tee celebrates the photographers and content creators who are currently using their media to document our present, which will be looked upon as Black History in the future. The design is a camera adorned with a crown, with the camera being comprised of repeated block text reading “Make Black History”.